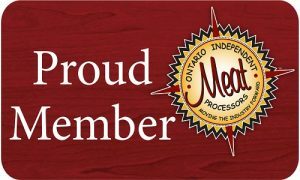 We recently became a member of the Ontario Independent Meat Processors Association. We are excited to be part of this amazing group! The OIMP is a not-for-profit board-led association representing over 300 members across Ontario including abattoirs, processing plants, butcher shops, fine food stores, suppliers and partners. Click here for more info.